The attorneys at Allen, Allen, Allen & Allen understand what it is like to be involved in an accident with a large truck. For decades we've provided legal representation nationwide for persons who, through no fault of their own, have been injured in accidents involving large trucks, including tractor trailers, tanker trucks and construction vehicles. Our firm has represented families who have lost loved ones because of the negligent conduct of truck drivers and trucking companies. Contact us for a free consultation at 866-388-6408 and we'll put an experienced tractor trailer accident attorney to work for you. Facing the catastrophic results of a truck accident alone can be frightening. Who can you turn to for advice about the many practical, medical and legal issues you will confront? How can you best protect your interests when you are up against the money and power of a big trucking company? For decades, the tractor trailer accident attorneys at Allen and Allen have been advising truck accident victims about their legal options. Together with our specially trained legal assistants, we work hard to prepare your case for a successful settlement or trial verdict. 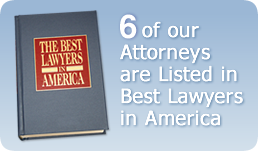 Along the way our attorneys will answer your questions and explain legal procedures. Our goal is to obtain the fair and just compensation you deserve. Complex truck accident litigation requires thorough investigation, the opinions of expert witnesses, and the creative use of discovery procedures after the suit is filed. Prompt investigation of the accident scene is crucial. The trucking company will have its own team of investigators dispatched immediately. You need investigators who will look for you and document favorable evidence. Allen and Allen's on-staff team of investigators, which includes several former State Troopers, routinely visits accident scenes and take photographs of physical evidence. They search for eyewitnesses who can confirm your version of how the accident happened. Skid marks, yaw marks, accident debris, and gouge marks, as well as oil, gas, and radiator fluid stains can disappear quickly after an accident. The sooner you engage us to represent you, the sooner we can act to preserve critical evidence. Expert witnesses may be the key to winning your case. Allen and Allen truck accident attorneys know where to look for experts with extensive knowledge of the trucking industry. These experts can review the facts of your case and help us plan an effective trial strategy. Other experts in fields like engineering, accident reconstruction, life care planning, economics, and medicine may also play an important role in the successful prosecution of your case. Remember that experience counts when an attorney is handling a personal injury case involving a tractor trailer or large truck . The drivers and their trucking companies must comply with a vast array of federal and state laws and regulations that do not apply to the ordinary motorist. These laws and regulations govern controlled substance and alcohol use, proper loading and tie-down requirements, maintenance and inspection procedures, licensing and driver qualifications, hours of service and much more. The truck accident attorneys at Allen and Allen are familiar with these laws and regulations and are prepared to explore whether the violation of one or more such laws and regulations caused or contributed to your accident. 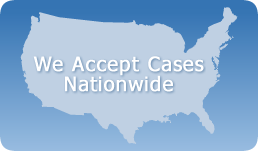 If you need a tractor trailer accident lawyer to represent you, rely on our experienced team. Contact us at 866-388-6408 for a free consultation.